Think of how an insurance company might make use of this pattern. Each customer has a “standard” policy and a second portion that is specific to that customer, a policy rider if you will. This second portion would contain a list of policy add-ons and a list of specific items that are being insured. As the customer changes what specific items are insured, this information needs to be updated while the historical information needs to be available as well. This is fairly common in homeowner or renters insurance policies. For example, if someone has specific items they want to be insured beyond the typical coverage provided, they are listed separately, as a rider. Another use case for the insurance company may be to keep all the versions of the "standard policy" they have mailed to their customers over time. 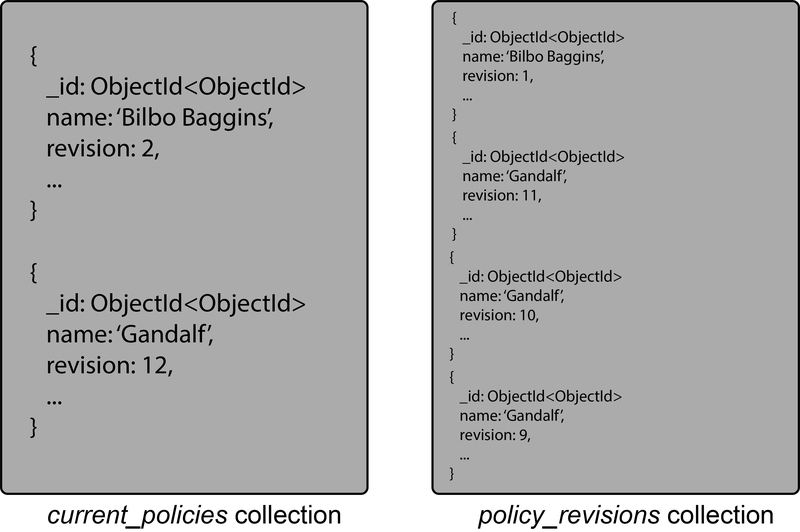 Inside our database, each customer might have a current_policy document — containing customer specific information — in a current_policies collection and policy_revision documents in a policy_revisions collection. Additionally, there would be a standard_policy collection that would be the same for most customers. 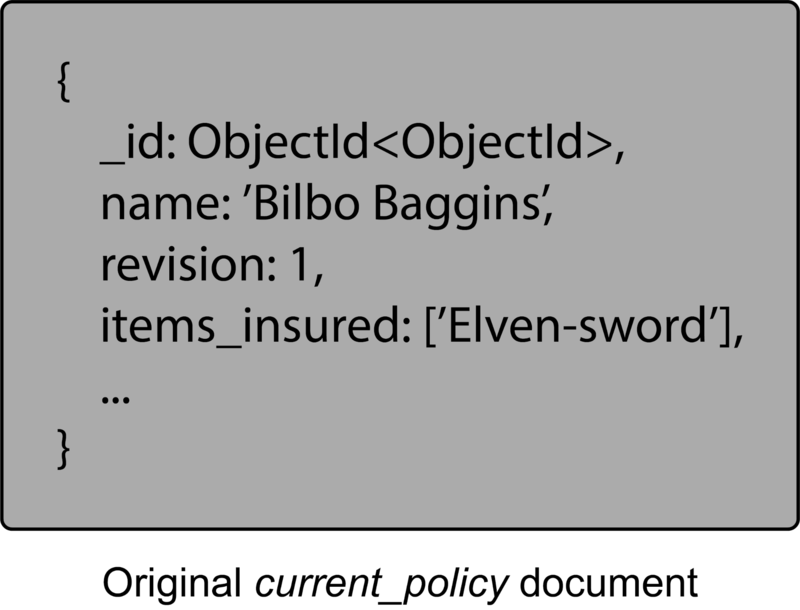 When a customer purchases a new item and wants it added to their policy, a new policy_revision document is created using the current_policy document. 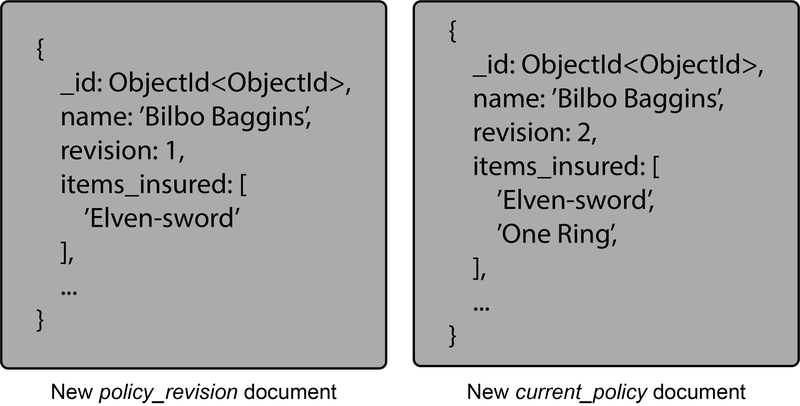 A version field in the document is then incremented to identify it as the latest revision and the customer's changes added.